 Iran, April 1, 2019 - Reports from across Iran indicate a large number of Resistance Units, members of a network affiliated directly to the Iranian opposition group People's Mojahedin Organization of Iran (PMOI/MEK), setting fire to icons of the mullahs’ regime ruling Iran. In solidarity with those hit by floods throughout Iran, members of Resistance Unit 123 in Tehran set fire to images of regime founder Ruhollah Khomeini and Supreme Leader Ali Khamenei. They were chanting, “Death to Khamenei – Hail to Rajavi,” referring to Iranian Resistance leader Massoud Rajavi, and Iranian opposition President Maryam Rajavi, head of the National Council of Resistance of Iran (NCRI). In Golpaygan, southwest Iran, members of Resistance Unit 615 set fire to a site belonging to the regime’s Revolutionary Guards (IRGC) Basij units. This was in response to the IRGC’s crimes in Shiraz resulting in devastating floods that left dozens dead. In Kermanshah, western Iran, courageous members of a resistance unit set fire to a poster at the entrance of an IRGC Basij base. In Shahre Rey, south of Tehran, members of Resistance Unit 635 set fire to the entrance of an IRGC Basij base while chanting similar anti-regime slogans. Members of Resistance Unit 960 in Semnan, northern Iran, set fire to a large Khamenei poster. Members of Resistance Unit 100 in Urmia, northwest Iran, set fire to a Khamenei poster. In West Azerbaijan Province, northwest Iran, members of Resistance Unit 454 set fire to a Khamenei poster while chanting a variety of anti-regime slogans.